What is a Doggie Dip? All Buncombe County recreational pools are drained at the end of each season before the temperature drops. 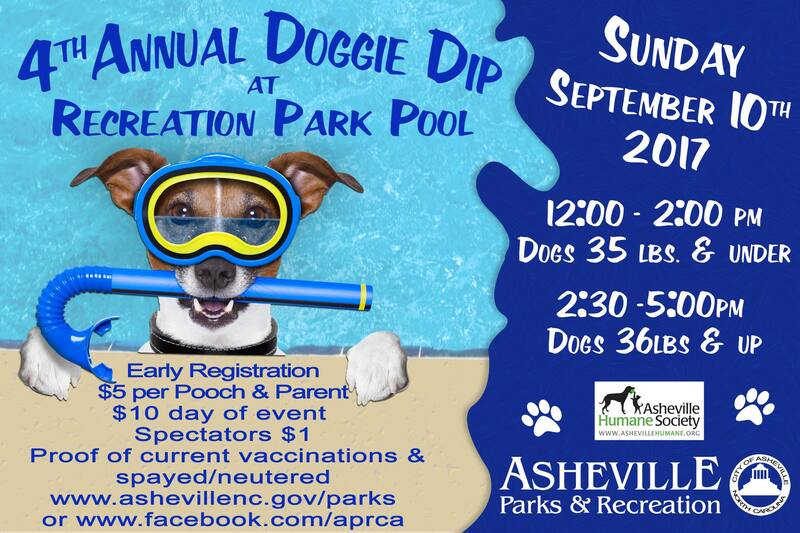 The pool in East Asheville has come up with the great idea of hosting a “Doggie Dip” before the pool is emptied. Prior to draining, the chlorine levels in the pool are lowered making it safe enough for dogs to enter. So for one day out of the year, you can now bring your pups to swim! 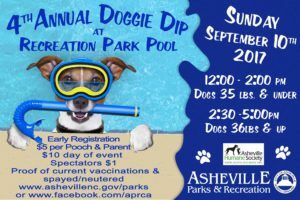 Best of all, proceeds will benefit Asheville Humane Society. Whether they like belly-slamming, diving after a tennis ball, or a simple doggie paddle, swimming will can them relax, socialize, build their confidence and exercise their brain in a fun and healthy way! Dogs 35lbs and Under can swim from 12-2pm, and Dogs 36lbs and Up can swim 2:30-5pm. 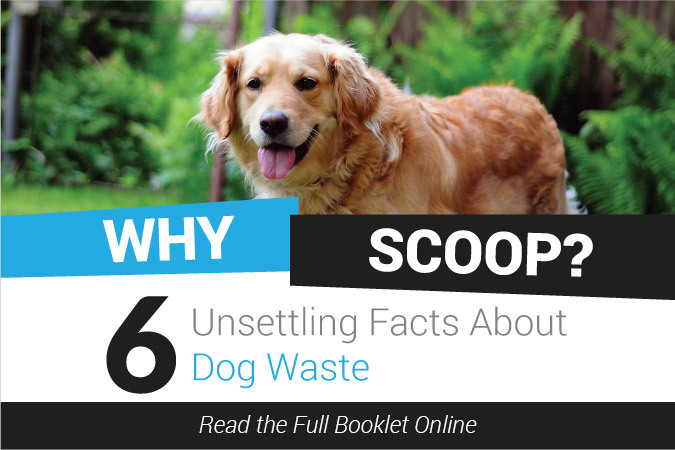 To get into the event, dogs must be spayed/neutered and have their current rabies vaccination records. 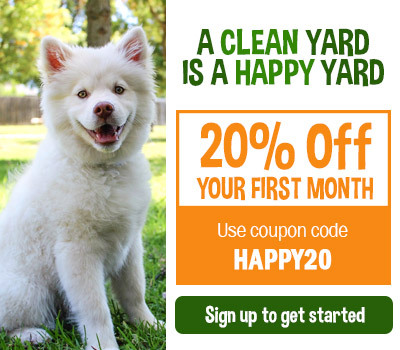 Pet Poo Skiddoo, a local pet waste removal company, has volunteered to ensure a clean area while your pooches make a splash!